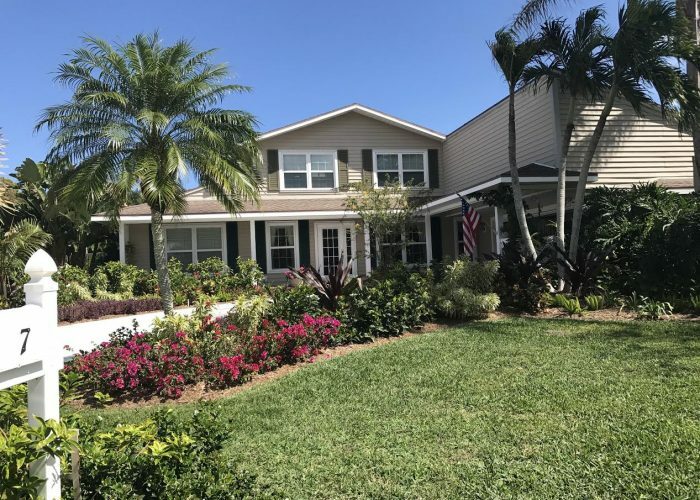 This client is an orchid collector and loves to walk through his garden daily. He is not opposed to doing light yard work but doesn’t want to be bothered with high maintenance plants. 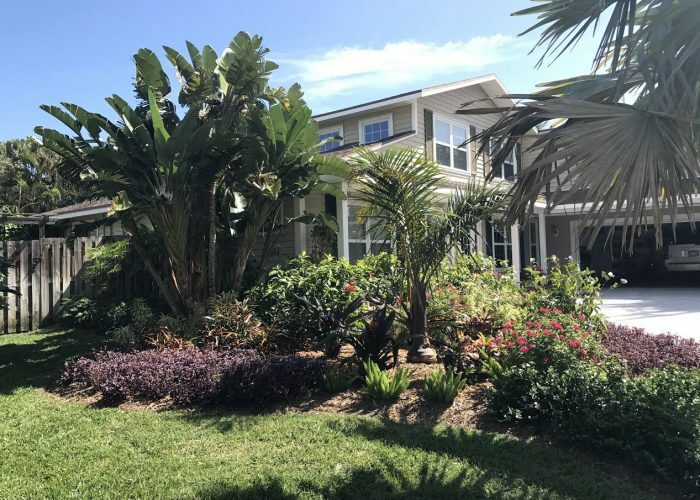 The front yard renovation included adding colorful, tropical plantings that would not require regular shearing and pruning. 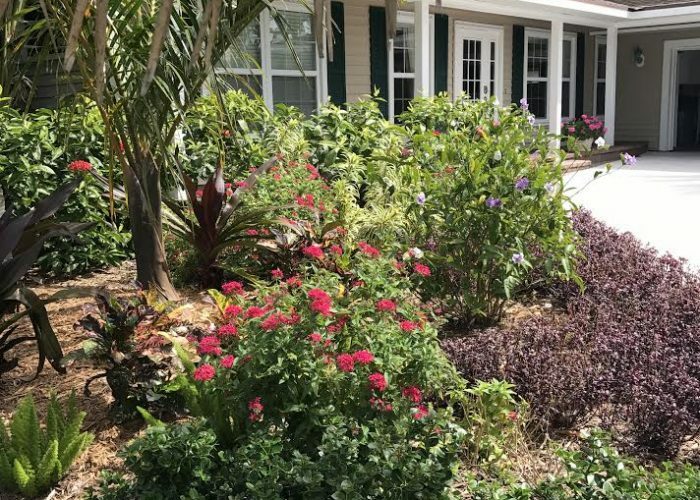 We chose easy to maintain tropicals with a variety of color and texture to give his front yard and driveway area the curb appeal he desired.